After being nearly deaccessioned by Ottawa’s National Gallery of Canada— a move that generated considerable controversy—Marc Chagall’s dreamy 1929 depiction of Paris’s Eiffel Tower will once again hang on the museum’s walls, starting this Saturday (23 June). “There was a strong desire from the public to see The Eiffel Tower, so we thought it would be a good opportunity to show the painting in context,” a spokeswoman for the gallery explains in an e-mail. 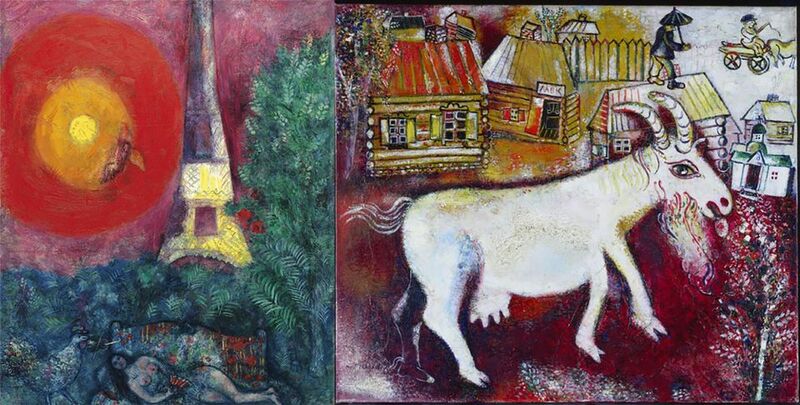 It will hang near Chagall’s earlier work, Memories of Childhood (1924), with other European and American paintings and sculptures from the first part of the 20th century. The Eiffel Tower was due to hit the auction block at Christie’s in New York in mid-May, with a price tag of between $6m to $9m. The museum hoped to use the proceeds to help buy Saint Jerome Hears the Trumpet of the Last Judgment (1779) by Jacques-Louis David. “We proposed selling The Eiffel Tower because it no longer plays an important role in our collection of European Modern art, and the artist’s Memories of Childhood is an earlier work and one better suited within the context of our holdings,” the spokeswoman says, echoing an earlier message from the museum’s director Marc Mayer. She also harked back to previous controversies, noting that works by even the much-loved Group of Seven artist were unpopular with critics in the 1930s, while more recent acquisitions of works by Barnett Newman and Roxy Paine have also come under considerable fire.